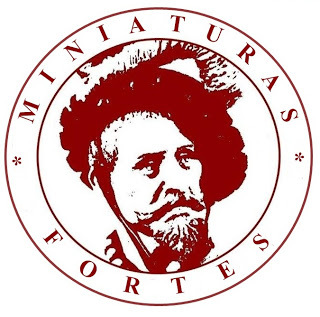 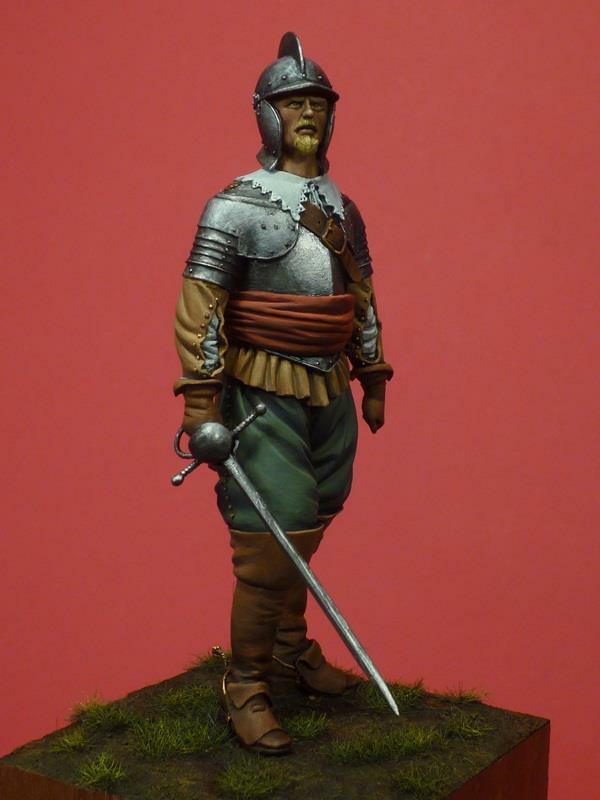 The Modelling News: Fortes Miniatures – A new figure and a whole new website as well! Someone’s been busy - Lucky he has two heads! Fortes Miniatures – A new figure and a whole new website as well! Someone’s been busy - Lucky he has two heads! 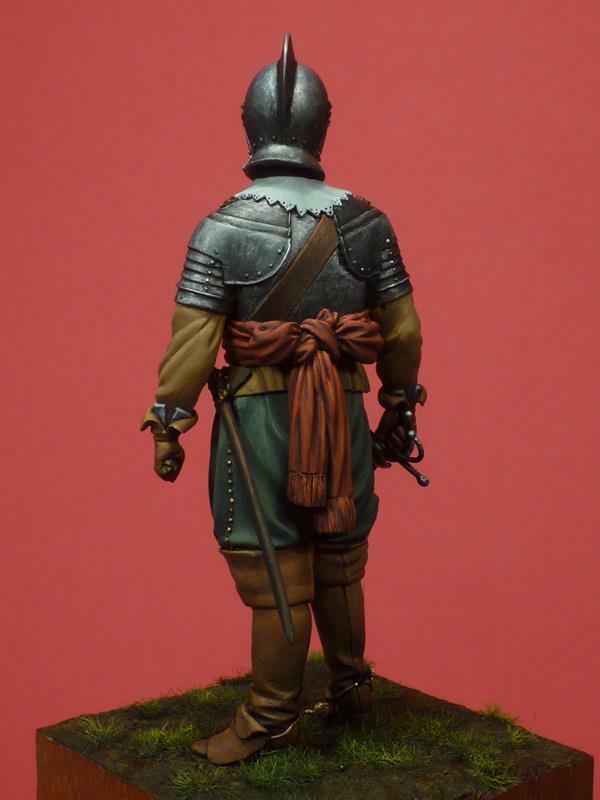 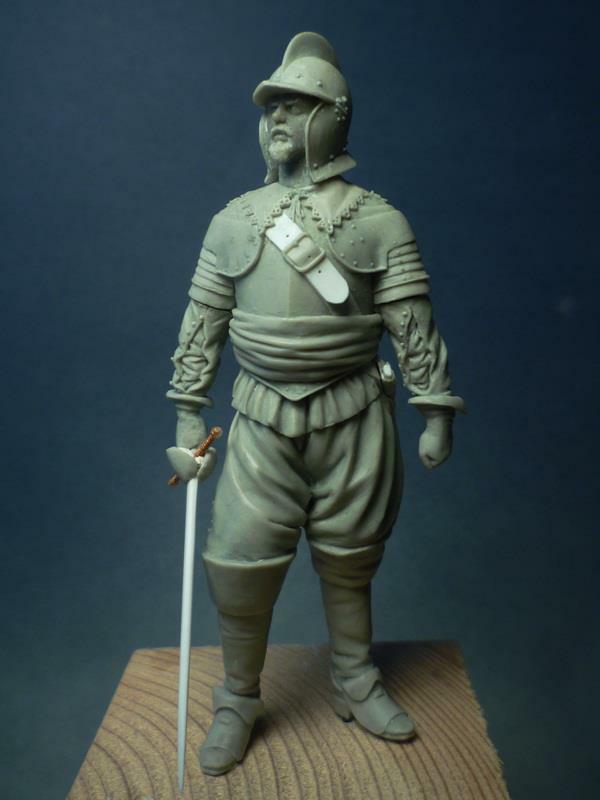 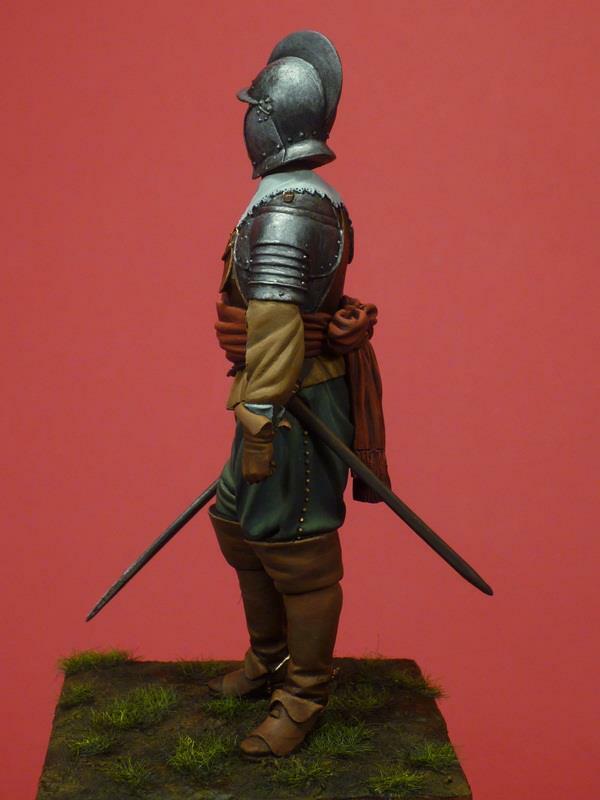 “Rocroi1643” Figure in 75 mm (1/24 scale) -12 pieces in resin. 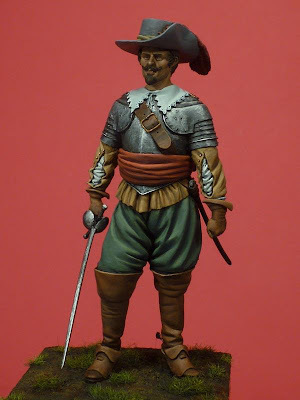 A Tercio was a Spanish military unit of the Spanish Empire during the era of the dominance of Habsburg Spain in Europe and the Renaissance era. 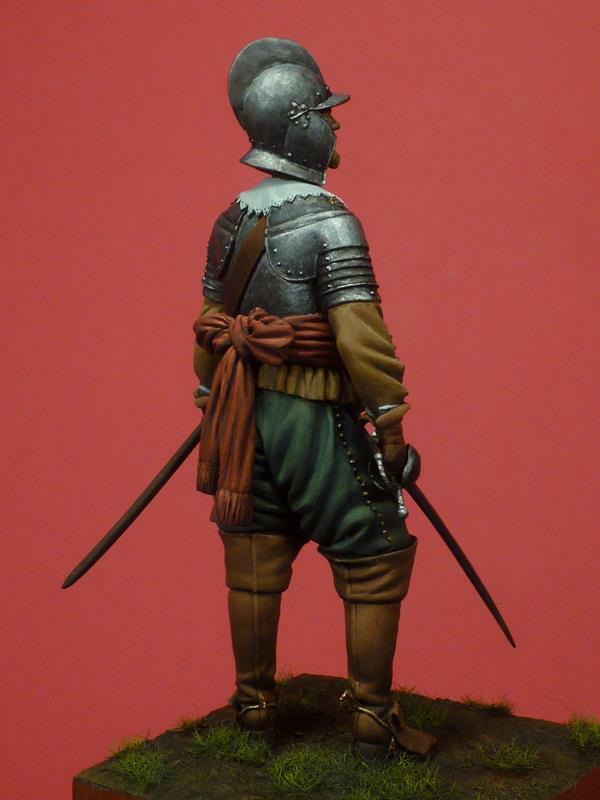 From the 15th – to the 17th centuries – this was a unit of 1500- 3000 odd soldiers in a combined arms formation of Pike men and Musketeers. 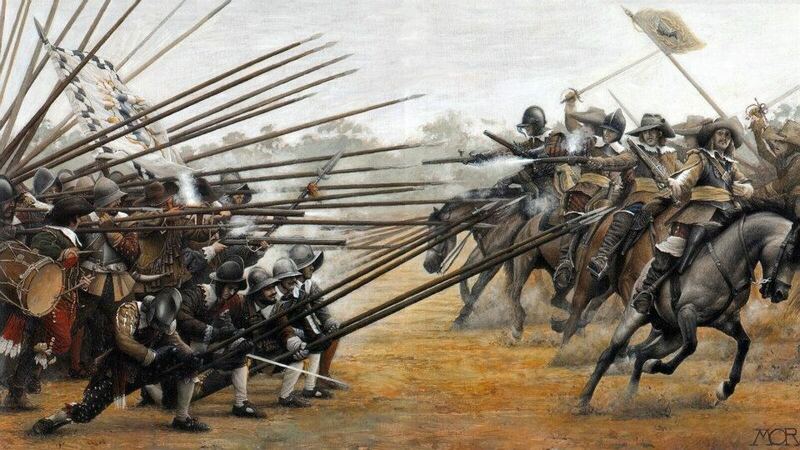 The Tercio was split up into ranks of pike men who arrayed themselves together into one large block similar to a pike square with musketeers usually positioned on the flanks. Usually deployed in blocks of three units in an army formation (hence the Tercio name) – the battle of Rocroi in 1643 was their swansong as a force on the battlefield - even though the Spanish were the ones to hold out after some of their allies fled the battle, it was proved that the lined formations of musketeers were more efficient in future conflicts. 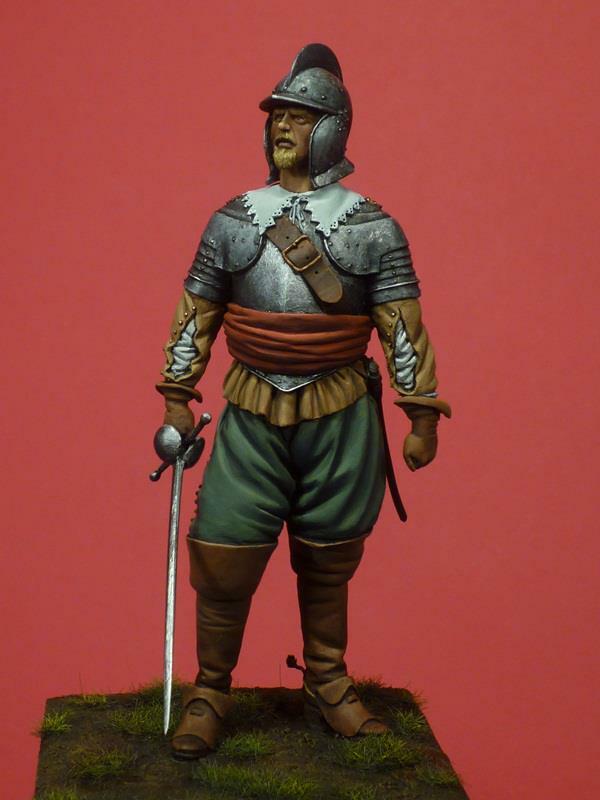 This figure from Miniaturas Fortes comes in grey resin in 75mm or 1/24th scale and features a choice of two different heads – one armoured with a helmet for battle and the other head a feathered wide brim hat – both are shown here in these series of pictures. 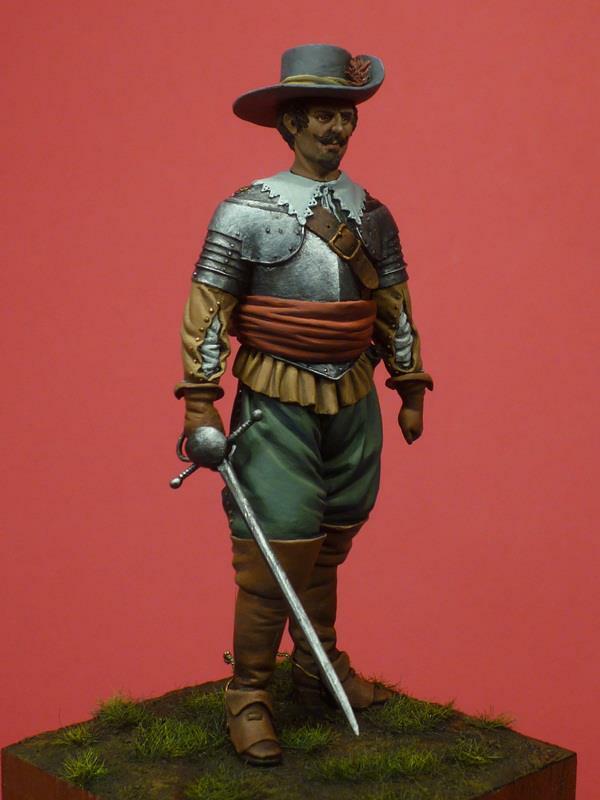 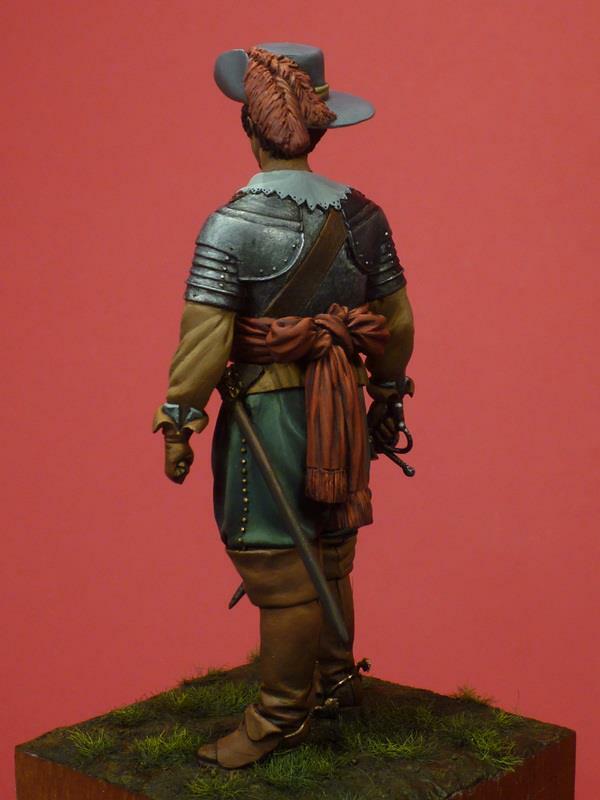 The Tercio Soldier is seen with a metal breast and shoulder plates – leather armed underneath with slits in each arm for movement, the soldier’s large boots and flowing garb make for an interesting figure to paint with a lot of depth. 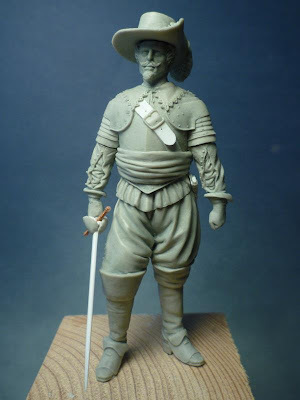 Diego has done a great job of sculpting this limited edition figure – you can purchase them from his site and from his EBay site as well – they are even on “the Facebooks” now for you to follow – but I would suggest checking out his new website first to see everything Diego does – he certainly has talent! Diego from Fortes Miniatures has been sculpting short run figures for a while now – but time has come to become a professional – man doesn’t live on banana skins alone! 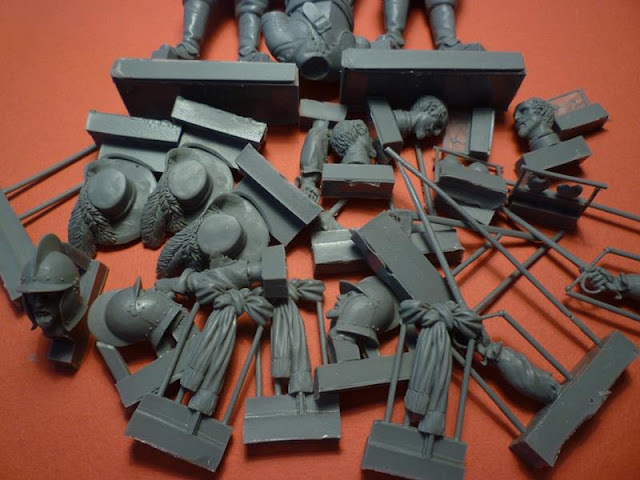 So he has set up a website from which to buy from him directly – you can still purchase them on EBay of course – but this is better we think for that personal touch! 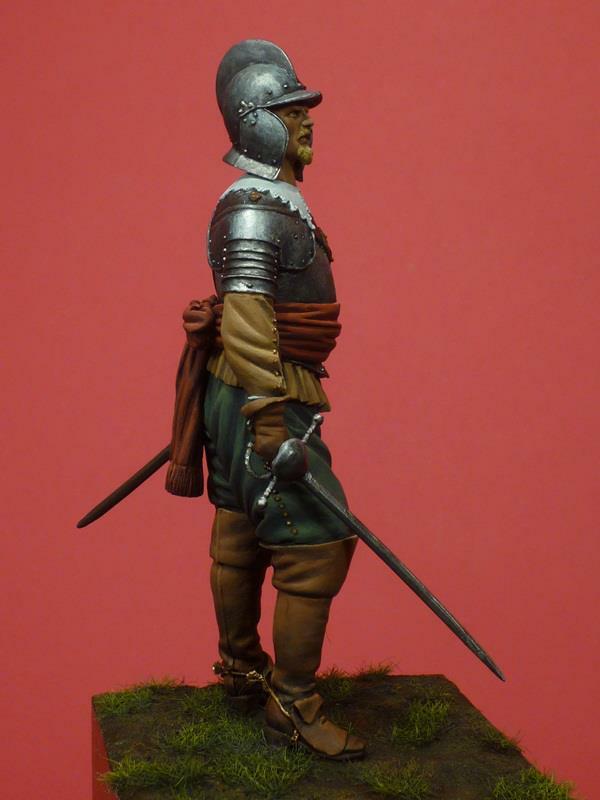 The figure sells for 30 Euros, plus 4 Euros of p & p for Europe. 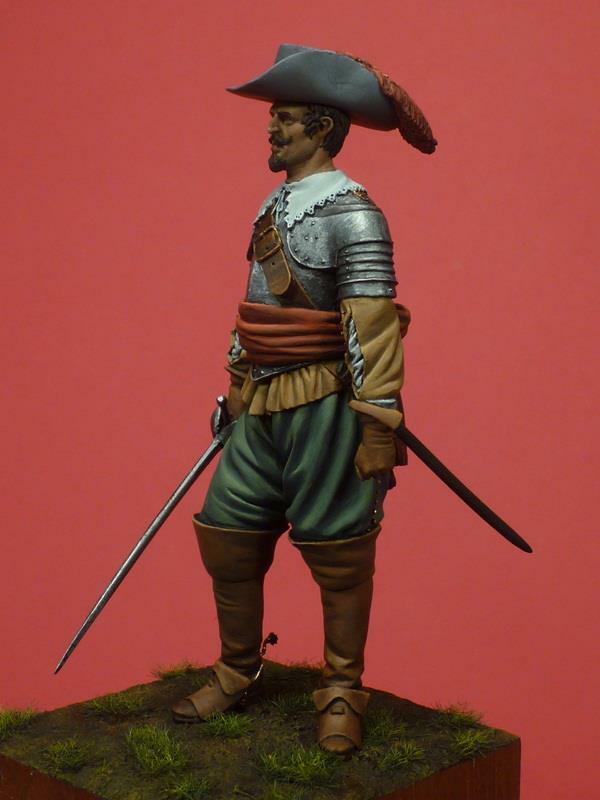 5 to the rest of the world. 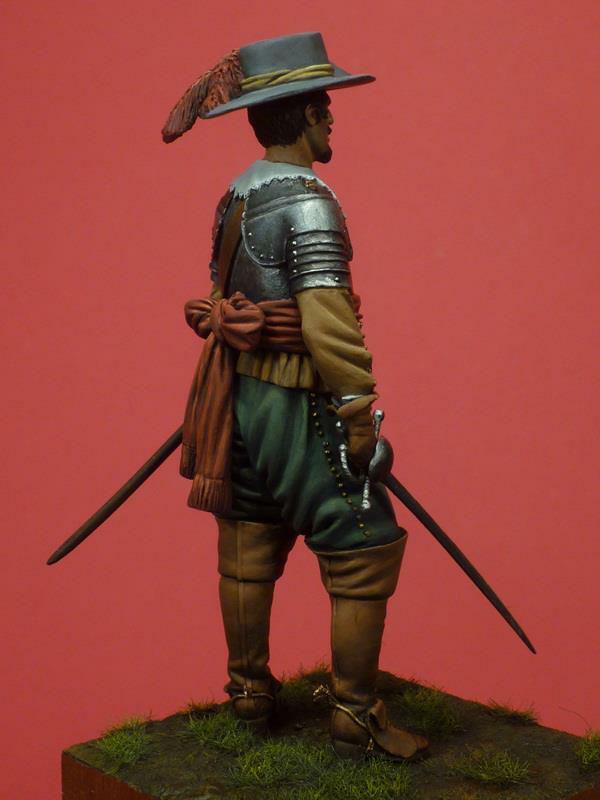 And also, you can follow Diego’s work – and his excellent choice of music – on Facebook as well!